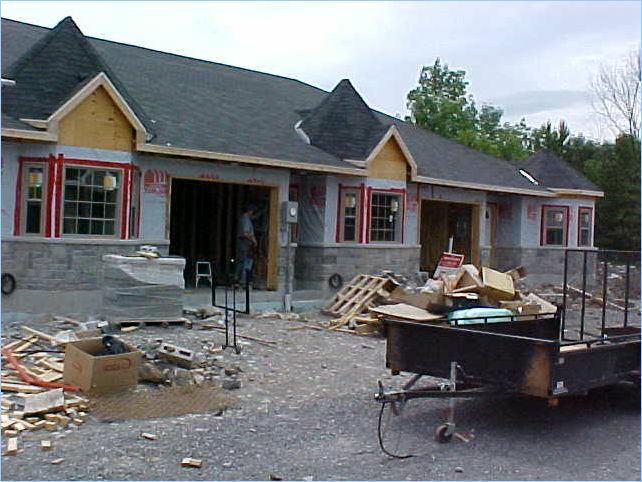 Updates on our progress in construction will be provided here in the form of photo displays. 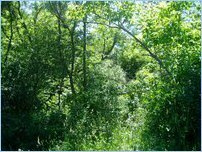 Please come back often to see the latest reports. 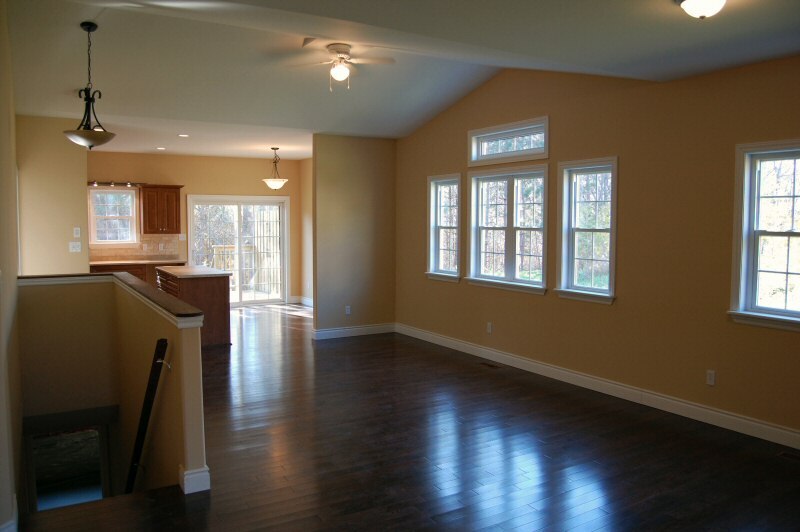 INTERIOR PHOTOS OF UNITS 15, 17 AND 19, READY FOR OCCUPANCY. 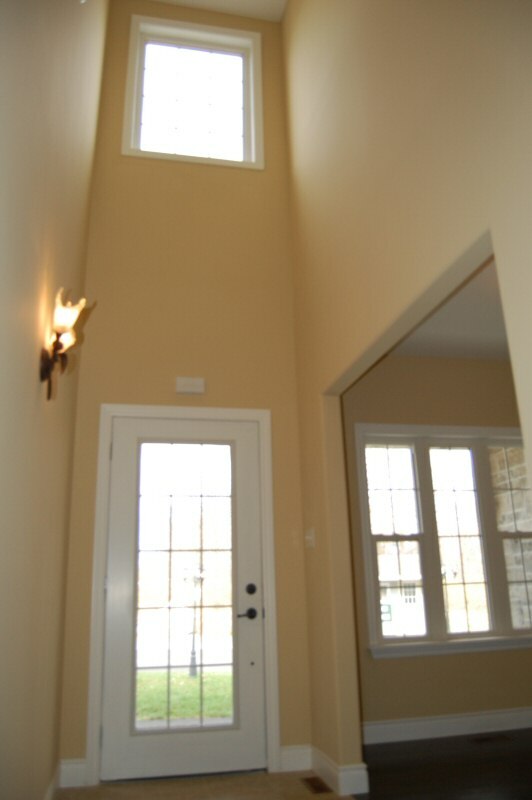 The great room in unit 15.
functional dormer in unit 17. 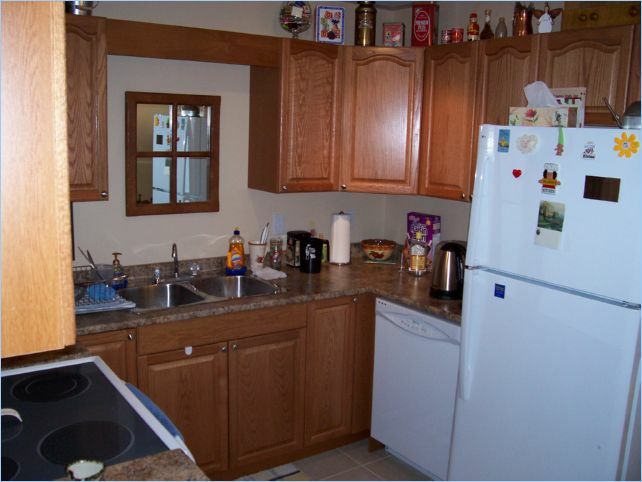 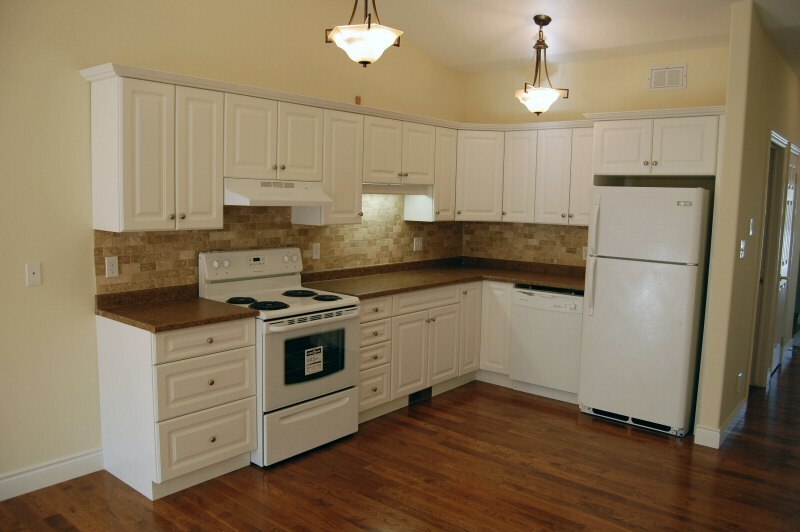 The kitchen in unit 19. 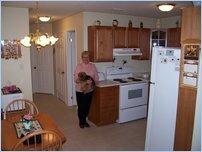 FIRST RESIDENTS IN PHASE 2! 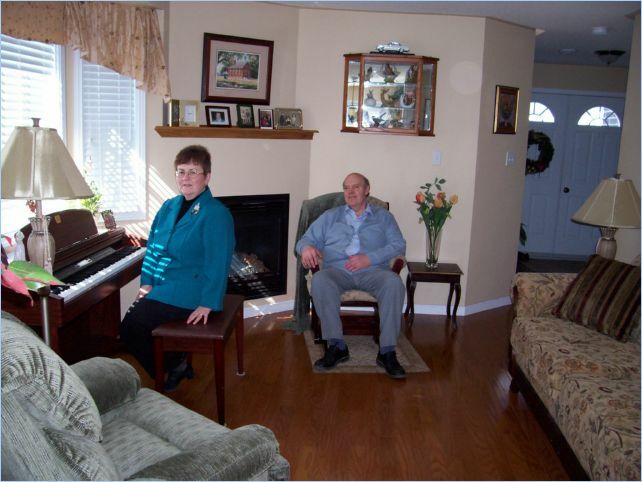 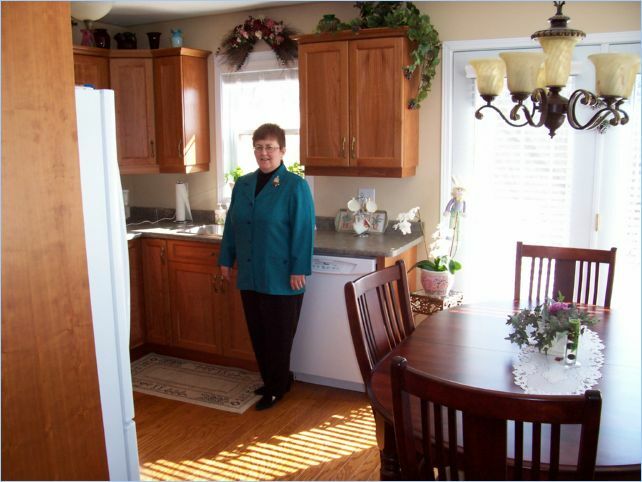 The first residents in Phase 2 of Quarry Hollow are Neil and Jean Bell who moved in in mid-October. 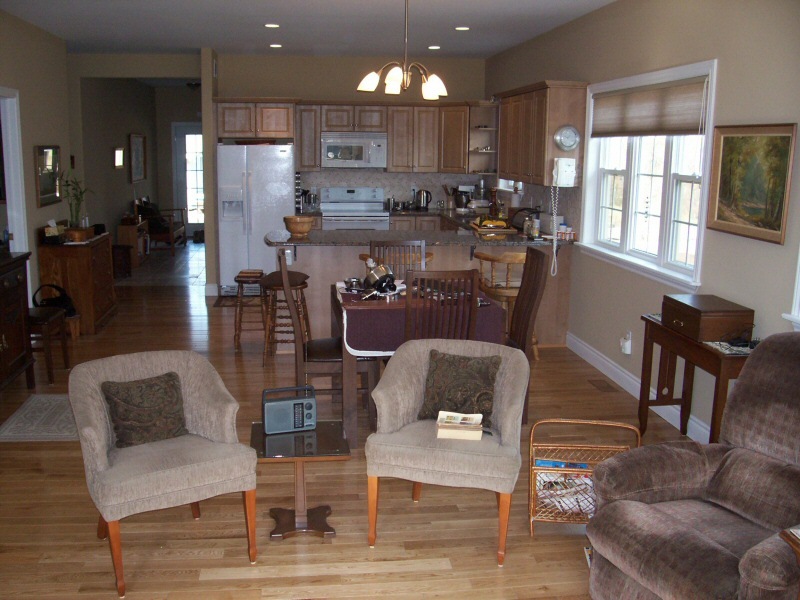 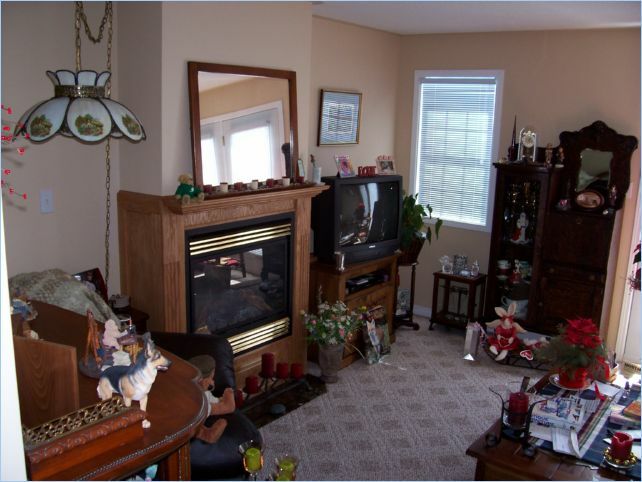 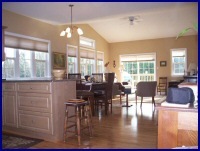 They have graciously permitted us to take the pictures of the beautiful interior of their home displayed here. 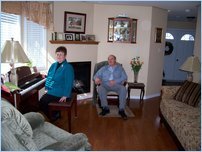 Neil and Jean say they "really enjoy living in their new Quarry Hollow condo." 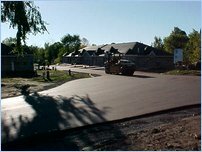 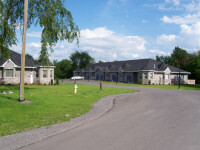 September 2008 - Views of the complete exterior of the Phase 2 units, with the road paving completed. 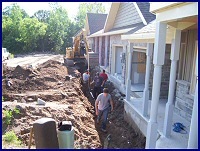 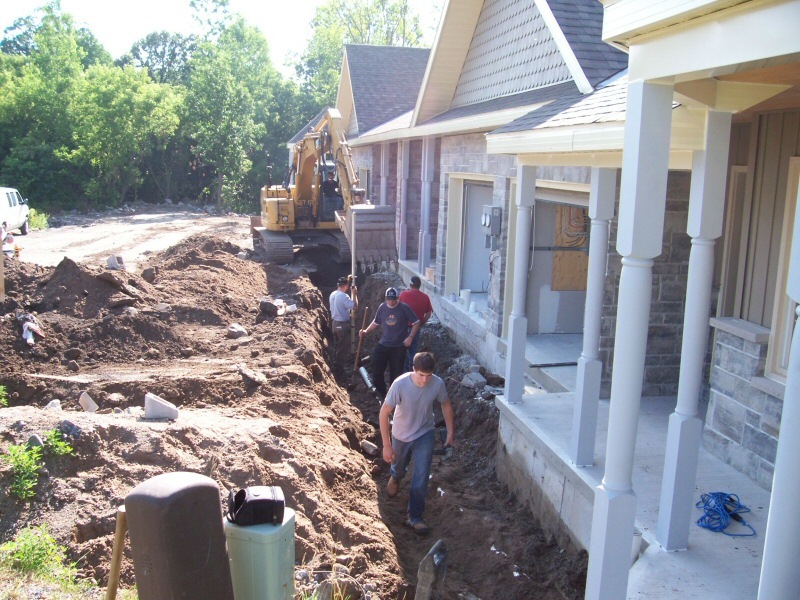 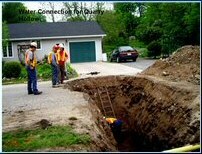 July 2008 - Installation of the storm water sewer system. 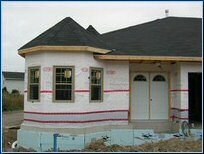 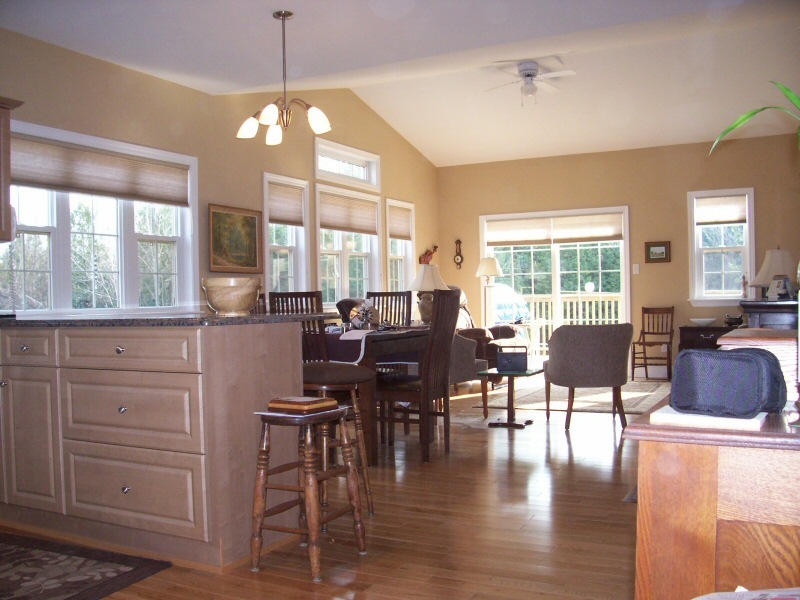 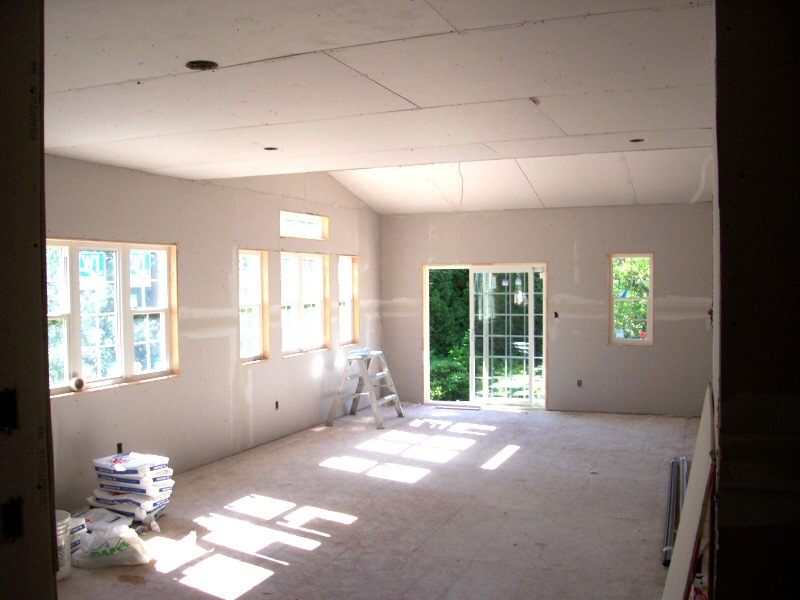 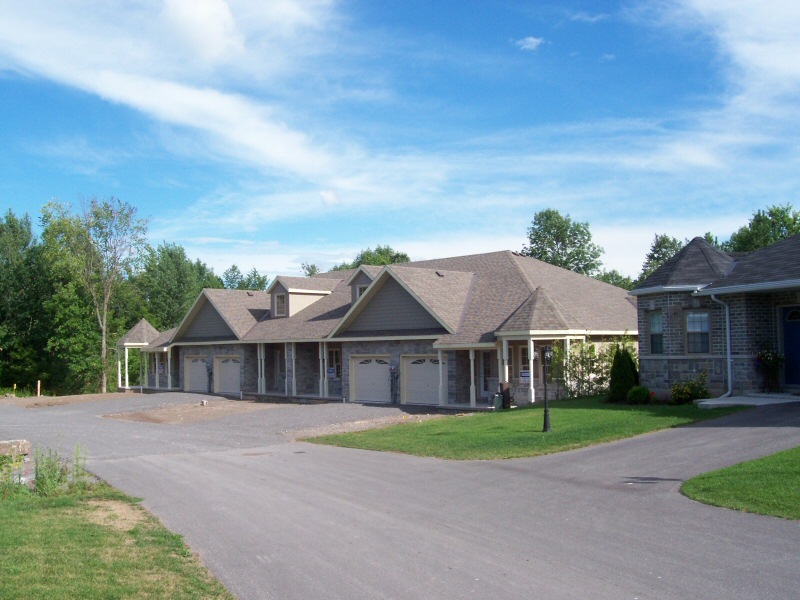 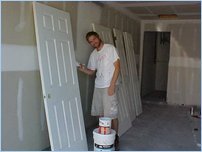 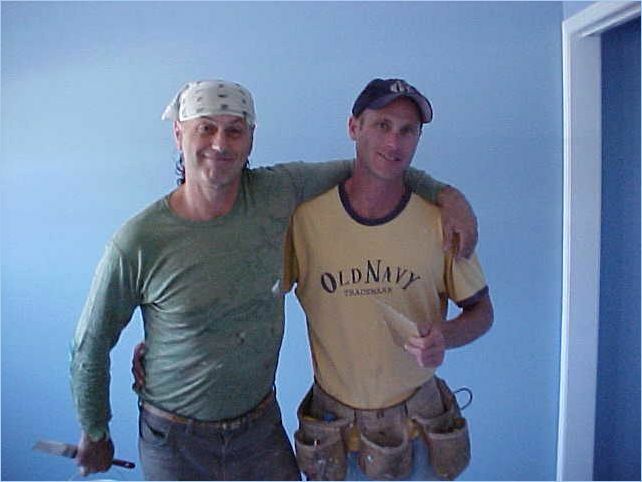 June 2008 - Units are insulated, vapour barriered, and drywalled. 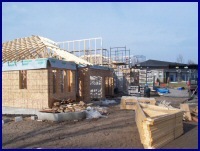 April 2008 - The walls and trusses go up for Phase 2. 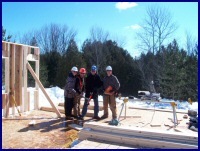 March 2008 - Adam Richardson, developer, being assisted by three of his sons. 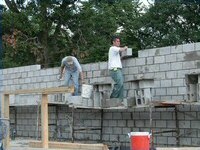 Pictured, left to right, are Drew Richardson, Adin Richardson, Adam Richardson and Hardy Richasrdson. 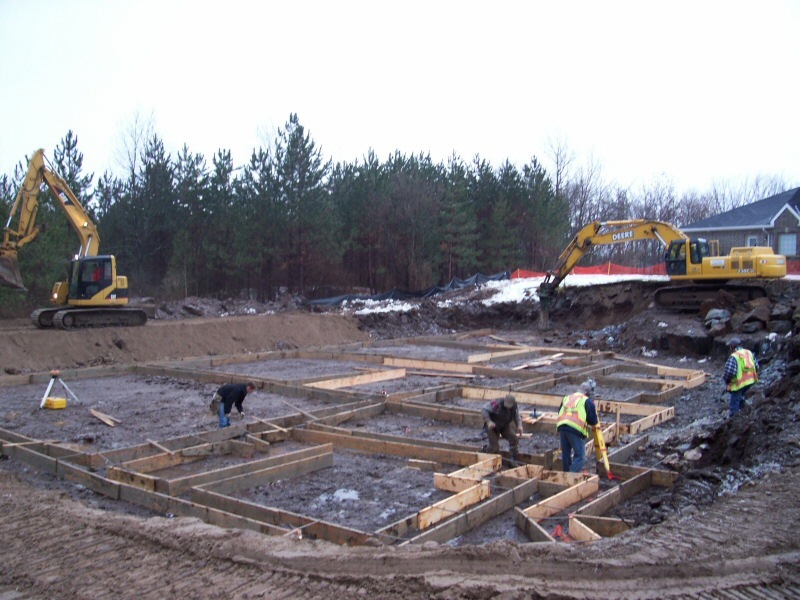 January 2008 - Surveyors and work crew complete the forms for the concrete footings for the Phase 2 foundations. July 2006 - Phase 1 is completed. 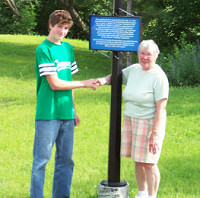 June 2006 - Drew Richardson, youngest son of Adam and Janet Richardson, shakes hands with Virginia Rolston, the first resident of Quarry Hollow. 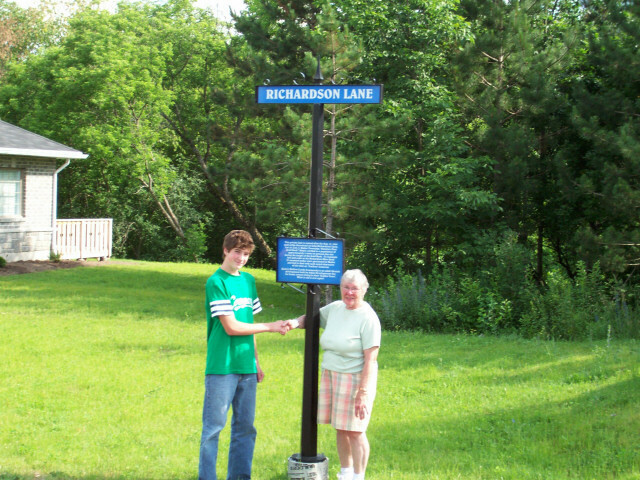 Drew and �Ginny� are standing under the Richardson Lane road sign which commemorates the Madoc area Richardson Gold Strike of 1866, which was Ontario 's first gold rush. 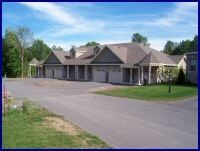 Eldon and Marg Kemp take possession of # 1 Richardson Lane. 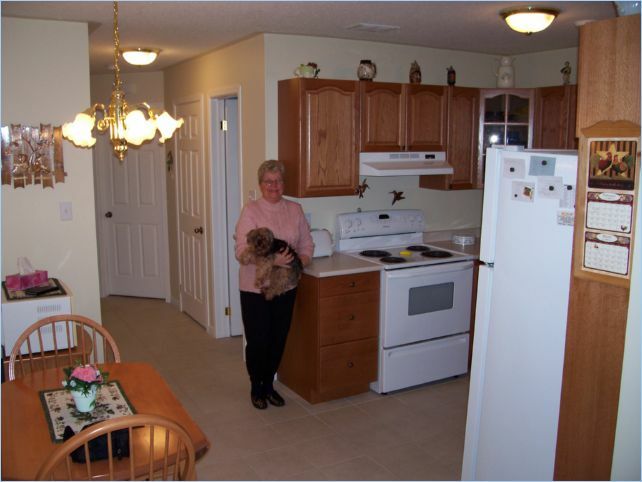 Vivian Vickers and Pal move into # 7 Richardson Lane. Vivian Vickers is sitting with her dog and friend of many years, Brandy. 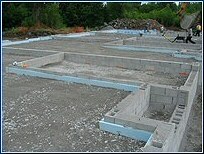 Elaine Roberts takes possession. 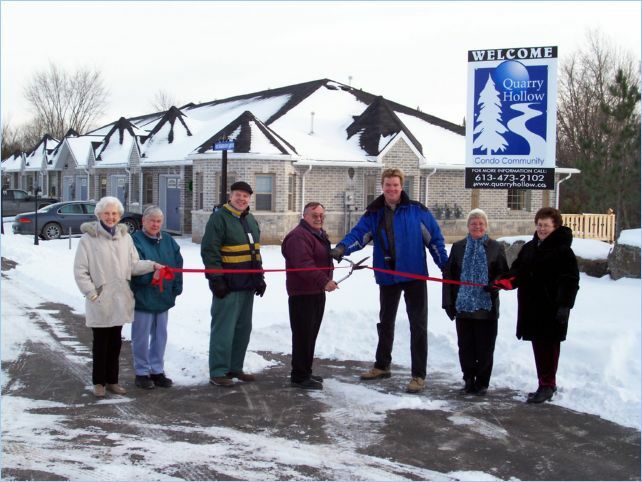 The unit features a custom made gas fireplace by Adjan Developments Inc.
Reeve of the Municipality of Centre Hastings, Tom Deline, and Developer, Adam Richardson (in the blue coat) assist residents in the ribbon cutting. McNabb Street is officially opened! 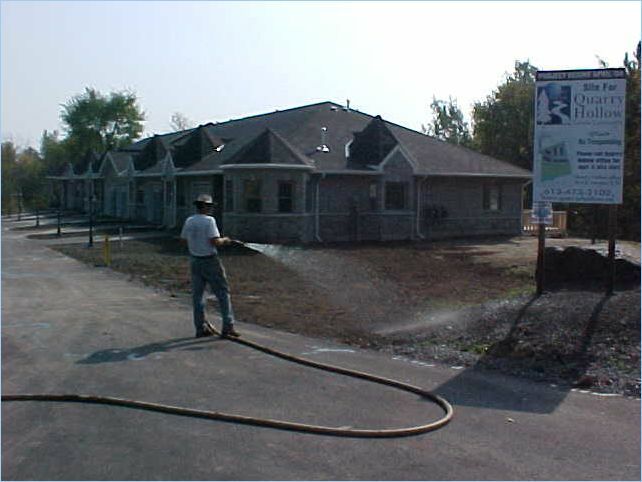 Spraying the mulch and the grass takes root. 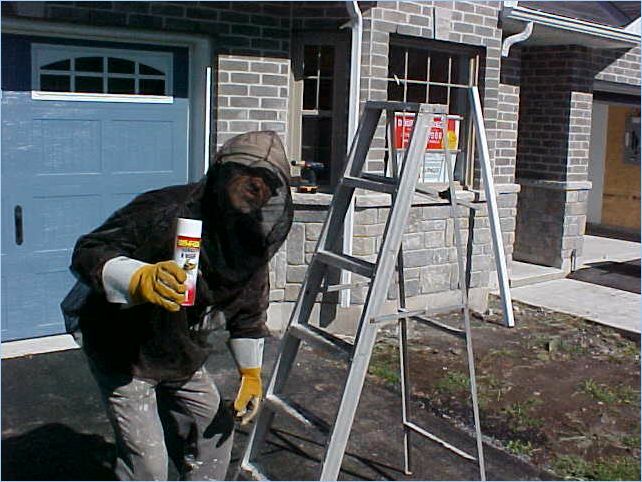 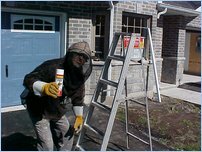 Jerry gets rid of the wasps! 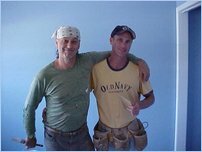 < Adin Richardson, last day on the job. Welcome to our New Residents! February 2005: Welcome to Virginia in #2 Richardson Lane. March 2005: Welcome to John, Diane and Mim, in #8 Richardson Lane. 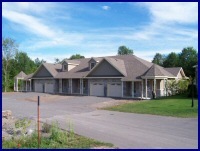 The exterior of the building is completed. 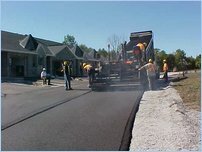 Road work is done on McNab St. and Richardson Lane to bring the roads up to grade. 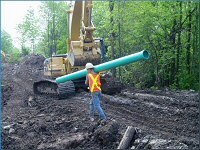 Hydro, Natural Gas, Cable and Bell services are placed in the ground. 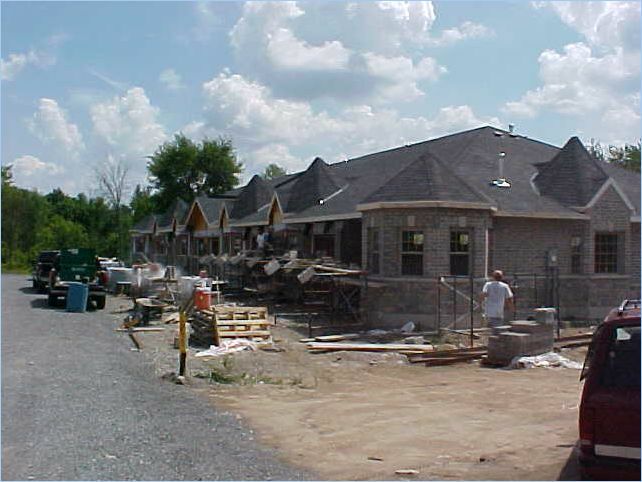 September 9, 2004: This is a picture of the stone work beginning on the rear of the building. 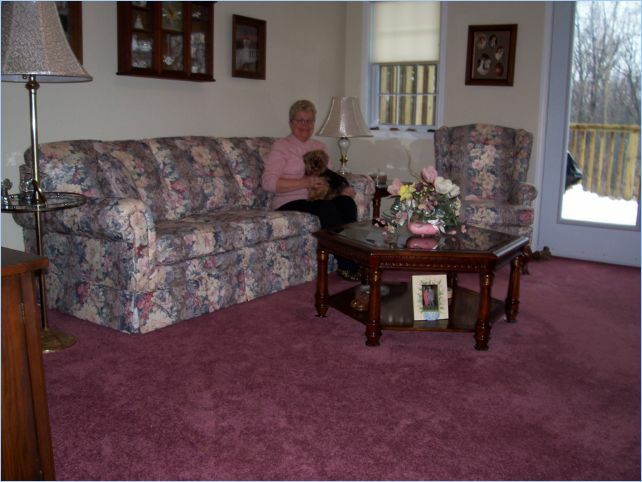 Please click the image for an enlargement and use the back arrow on your browser to return to this page. July 29, 2004 - framing of the 4-plex and progress on the 6-plex. 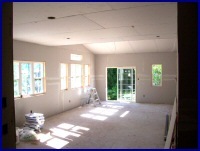 This gallery includes a panoramic shot of the entire construction area. 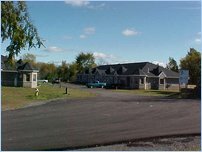 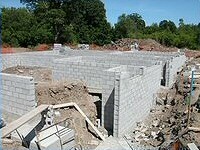 July 12, 2004 - The first 4-plex building is just about ready for the floor slab and the footings are being poured for the 6-plex building. 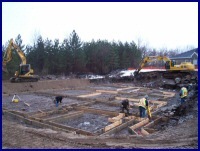 July 3rd, 2004 - Building the foundation walls for units 7-10, excavation begins for units 1 - 6. 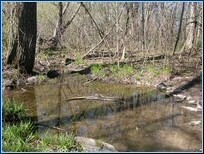 See pictures of the wetland area in spring. 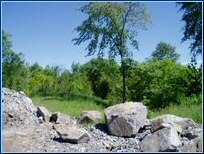 Additional pictures of the permanent parkland area are available here. 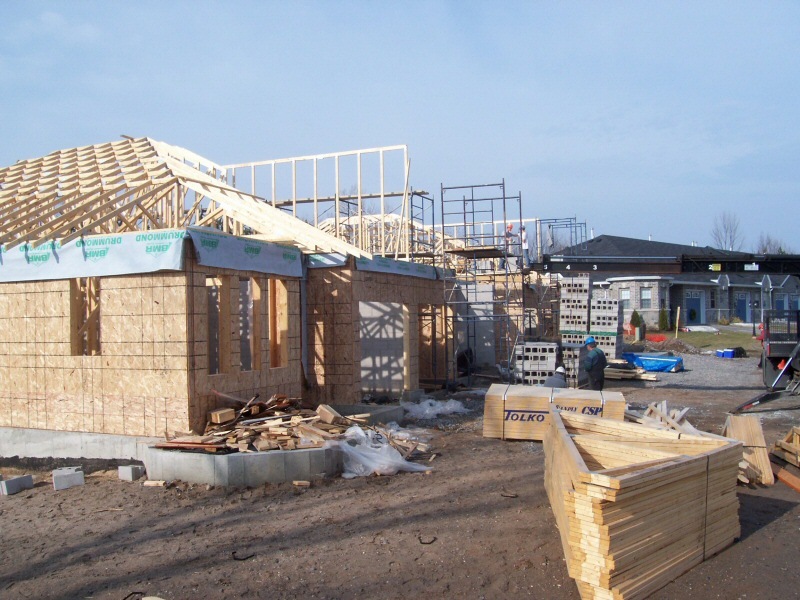 Important news: All permits have been received for this project and it is in progress. 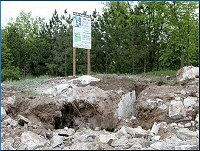 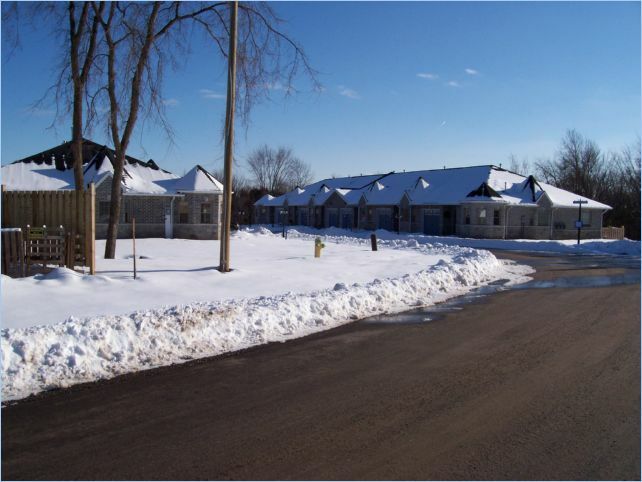 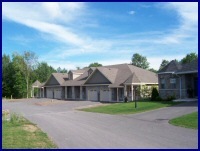 Final approval from the Quinte Conservation Authority was obtained in December, 2003. 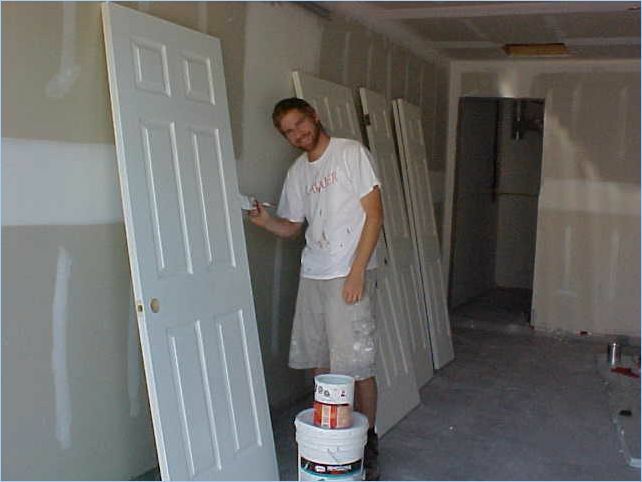 © 2007 Adjan Development Inc. All rights reserved.